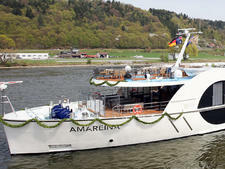 As one of APT's newest ships, launched in 2012, AmaPrima's decor is modern and fresh. 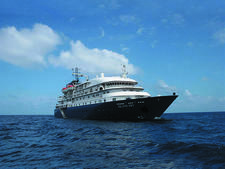 The majority of staterooms are spacious and feature a balcony with two chairs and a French verandah with floor-to-ceiling doors. 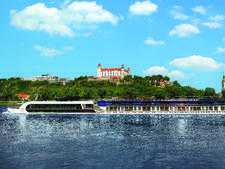 Not often found on river vessels, a splash pool (with its own bar and bar stools in the water) is a popular spot to relax on the sun deck. 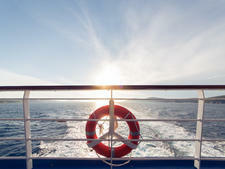 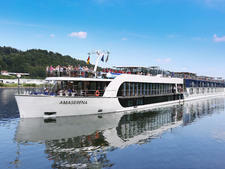 APT operates AmaPrima in partnership with AmaWaterways, its European river cruise partner. 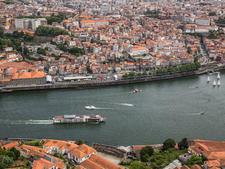 One of the main differences for Australians and New Zealanders is that APT's fares include drinks (most alcoholic and nonalcoholic beverages), tipping, porterage and transfers. 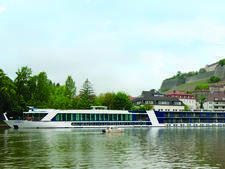 In Europe, APT Royal Collection itineraries include the services of an APT tour or cruise director, who remains onboard for the whole cruise, and a wide range of complimentary shore excursions. 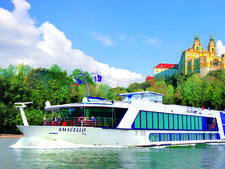 These include Freedom of Choice tours, which passengers can select from two or three options each day, and APT Signature Experiences at landmarks like Germany's Namedy Castle or via excursions like a ride on Austria's Majestic Imperator train. 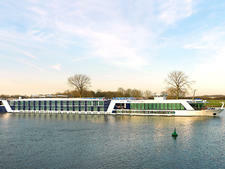 For added luxury, APT passengers who book higher category suites are entitled to Silver or Gold butler service, with room service dining, shoe shining, pressing (two garments a day) and a welcome bottle of Champagne. 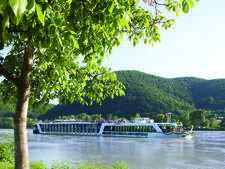 Gold level includes additional deliveries, such as fruit skewers, canapes and petits fours, and your butler can also assist with packing and unpacking, bath drawing and a valet service. 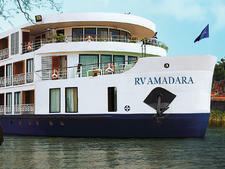 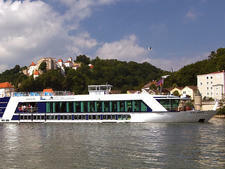 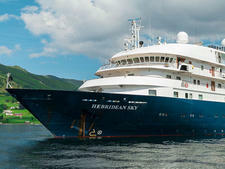 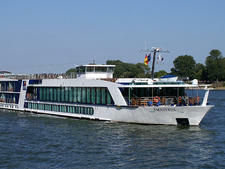 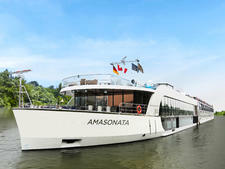 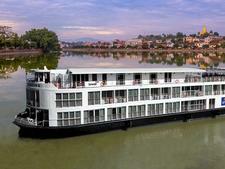 For more details about this ship, see our AmaWaterways AmaPrima review.